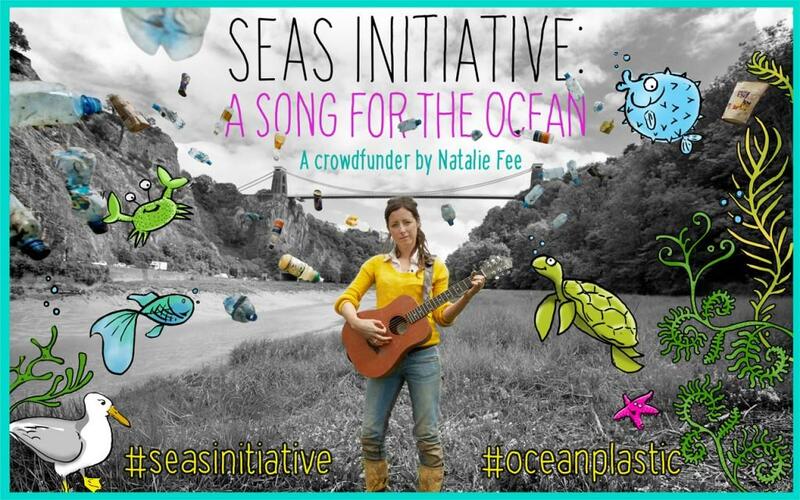 World Oceans Day is a significant date for Natalie Fee as it was this day last year that started her on a journey, which was initially about crowdfunding a music video but has culminated in bringing together experts in the field to ask serious questions and look for practical actions at a city-level to make changes. Having had a fear of the sea, Natalie admits she was out of touch with the growing problem of plastic pollution. But after seeing the the film ‘Midway’, where young Albatross living in the middle of the Pacific are dying on a diet of plastic bottle tops, she was moved to do something more. During the course of the crowdfunding campaign, Natalie learnt to surf, met a great number of people working on this issue in their respective fields, all within the Bristol area and identified an opportunity to bring everyone together. Each year numerous volunteer groups conduct litterpicks along the banks of the Avon, Frome and Severn, the regular offending articles are plastic bottles, plastic bottle tops, polystyrene takeaway containers and earbuds (which are flushed down the toilet). And it was the devastating scenes on the riverbanks of the Avon after this Spring’s high tides that spurred Natalie into action. So just over a month ago over 30 people living in Bristol and working in fields relating to marine and river health attended the first City to Sea meeting, hosted by Natalie and her newly formed ‘City to Sea’ volunteer team. Following break-out groups a number of initiatives have been identified that will be debated in more detail on 8th June with the premise of stemming the flow of plastic litter heading into the Bristol Channel. Bristol residents, businesses and organisations are all invited to join the panel of experts: Chris Sherrington (Eunomia), Thomas Bell (Director, Changes Us), Jo Ruxton (Plastic Oceans) and Melinda Watson (Raw Foundation) in a lively debate which will form the basis of a Bristol Plastic Charter. The night, which started as a launch of a music video, will now be broadcast by Made in Bristol TV as an hour-long current affairs debate, Art Installations from Litterarti (who will also have World Oceans Day installations in St.Augustines Parade throughout the day) and will be concluded with a lighter look at the issue through four adult, comedy poems that reflect the experience of the marine animals who are the victims of the plastic problem.